Video-centric social media app TikTok has just received a significant blow, as the Madras High Court has issued a directive to the Government of India to ban downloads of the app in India. The Government has in turn asked Apple and Google to disable the downloads of the TikTok app from the App Store and the Play Store respectively. This is just the latest saga in a long chapter for TikTok, which has faced significant backlash, including allegations of quality control, coupled with the addictive nature of content on its app. The Ministry of Electronics and Information Technology (MeitY), acting on this order, will now ensure that the TikTok app isn’t available for downloads anymore on smartphones. Ahead of the hearing scheduled today at the Madras High Court, the Bytedance-backed social media platform was refused a stay petition on the initial ban order issued by the Madras HC, by the Supreme Court of India. This further compounded on their misery, and until the Supreme Court’s hearing of TikTok’s appeal on April 22, which in turn will be based on the outcome of the hearing at the Madurai bench today, TikTok presently stares at a bleak future in India. Having termed the judgement so far to be “disproportionate, discriminatory and arbitrary”, TikTok remains positive that it will see through this difficult phase in India, and is taking steps in a bid to prove its intent in the Indian internet market and remain compliant with the laws of the land. 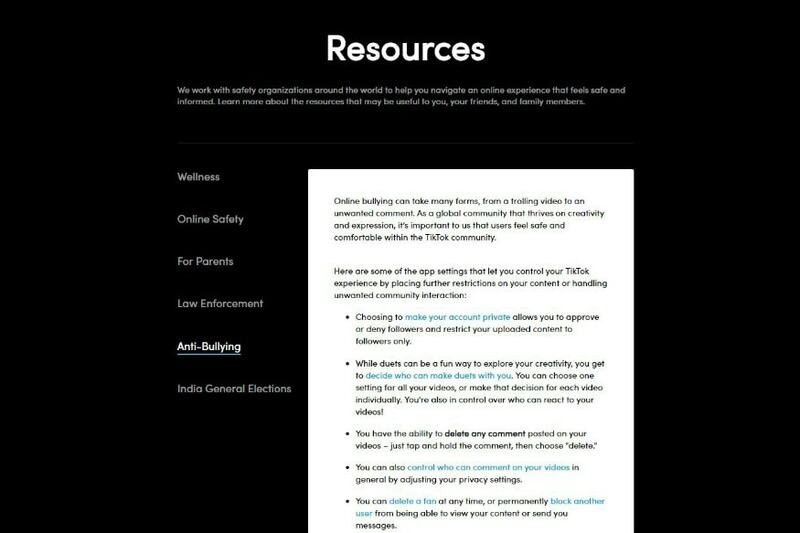 While all of these steps are reliant on how proactive its users become in reporting content that is objectionable, the platform hopes that it will help them see through a difficult phase, after a meteoric growth phase that threw a spanner in the plans of homegrown social media startups. Perhaps the most important issue at hand for TikTok is its content quality and integrity, wherein multiple reports surfaced with questions of how abusive or pornographic a general section of TikTok’s content was. Cyber bullying is yet another factor, where comments left by users were seemingly uncouth, and not in line with the general etiquettes of conduct in civilised society. To combat this, TikTok designed a proprietary filter, wherein users could ban specific words from their comments in order to reduce the attempt to enforce vile intentions by fellow users. “TikTok equips its users with multiple measures to make their account safe and report any content that is in violation of our community guidelines. Along with the content, users can also report accounts, videos, comments or chats. Recently, TikTok also introduced a “Filter Comments" feature that empowers users to filter up to 30 self-defined words in Hindi and English from the comments section and also change the listed words as and when they want,” stated a TikTok spokesperson, in a conversation with News18. In line with this, TikTok has further published anti-bullying guidelines on its platform, in a bid to help users on its platform tackle vile content. To maximise impact, the guidelines are published in 10 Indian languages, so that more users can read it. TikTok has also employed an in-house content moderation team that operates in 15 languages, in a bid to trim the platform of dubious content in all the languages that it operates in. 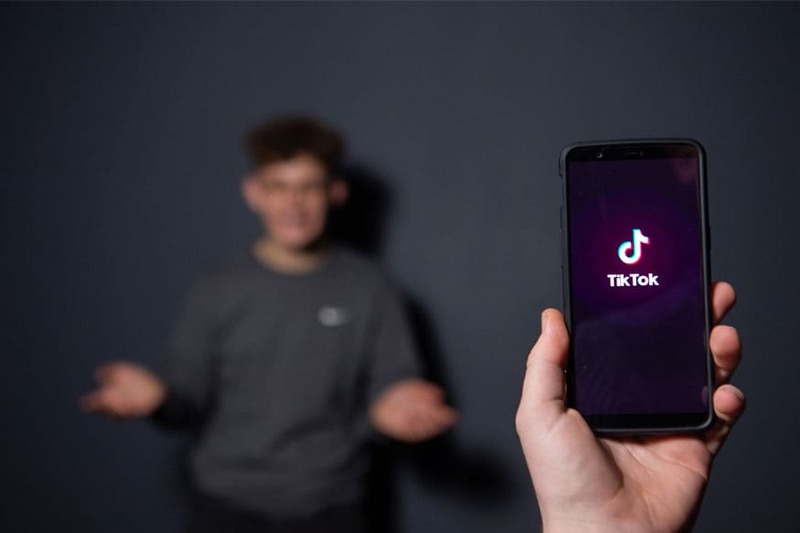 TikTok was also one of the social media platforms that signed up to the Model Code of Conduct guidelines laid down by the Election Commission of India (ECI) ahead of the ongoing 2019 Lok Sabha Elections, and in a bid to make it easier for reporting politically biased or misleading content, has claimed to have integrated a direct route to report content from the platform to the cVigil app, which the ECI uses to gather reports of propaganda and other political misinformation. Supporting this move, the spokesperson further added, “We are not serving any paid political advertisements during this election period and are not proactively onboarding any political figures or parties on our platform.” This includes both TikTok and Helo — both virally popular social media platforms, backed by the Chinese conglomerate, Bytedance. The problem at hand, however, is if all these measures are too late in coming. TikTok has been hammered with critical coverage of the content on its platform, and the impact that it is having on its users. The complaints against TikTok include its addictive nature which is having a largely adverse impact on its young age group of users, along with allegations of serving up politically leaned content. However, given that most of the content on its platform is served up by third party sources (TikTok is not a voluntary publishing platform), this also represents its biggest problem — most of its tools are designed to work if its users actually take voluntary effort to report content on its platform. Given the user base they are targeting, TikTok has a large section of users from non-metro cities, and an even larger, concurrent section of users are of a very young age group. For such users, there lies a typical sense of inhibition in actively reporting content, lest it involves legal and political consequences. It is yet to be seen if the moves qualify as sufficient in the eyes of the lawyers representing the State in the Madurai bench of the Madras High Court, as the company gets taken to court tomorrow. Content moderation is a key factor for every social media platform nowadays, after concerns of privacy, content quality, the general nature of the app’s usage and allegations of spreading propaganda have run riot through its expansion plans. The TikTok spokesperson declined to share its present number of users in the country, stating that it is “still very early” to reveal the same. Given the consequences that it is facing in India, it remains to be seen how TikTok manages to retain that user base, if it survives the critical onslaught on ethical and legal grounds, in India. At the moment, the biggest challenge will be to deal with the ban on downloads from app stores in India.